If you’re stuck in a bad marriage, you may be feeling very alone right now, but the truth is, you’re not alone. 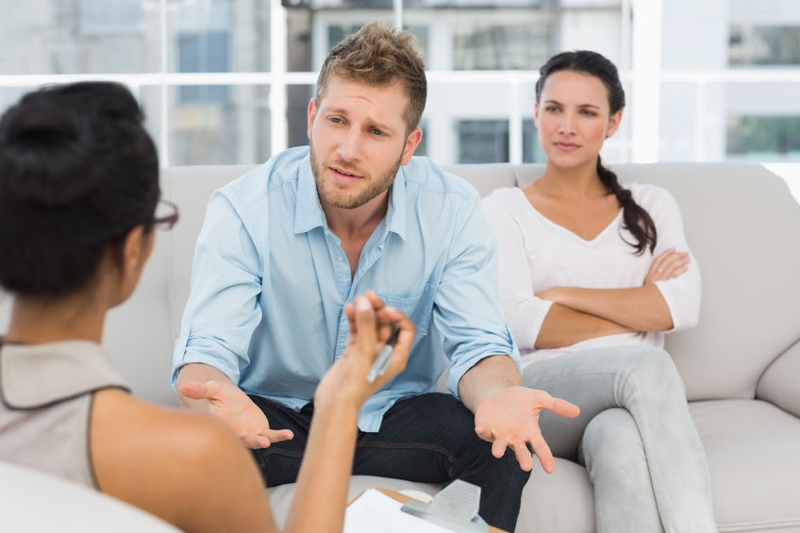 Marital stress is unfortunately quite common and divorce is a sad fact of life for many people. This is not to say that the answer for every stressful marriage is divorce, because it’s not. Each situation is influenced by a number of factors and that, in turn, creates possibilities for an equal number of options. The trick is to explore those options with clarity, purpose, and an open mind – something ideally suited to journaling. To start, it’s important to mentally separate yourself from the situation as much as possible. That may be hard to do because stressful marriages, by their very nature, can be highly emotional and anxiety-filled situations. Journaling, however, can help you “go internal” and spend some quiet time with yourself to try to gain a true understanding of your marital relationship, its circumstances, and the factors affecting it so that you can start to examine possible next steps. Unfortunately, our culture and society have fostered three Great Expectations about marriage that can sow the seeds of dissatisfaction in a relationship even as it’s just getting started. Increasingly, you’re hearing young couples, especially the bride, gushing about finding their “soulmate.” Women often expect to find this one man who will fulfill all her dreams and whose aspirations and personality mesh so beautifully with hers that they will experience little or no pain or setbacks in their relationship. The reality is that the “soul mate” concept sets the bar too high from the start and disappointment almost inevitably sets in. A significant number of couples – if not the majority – expect to have an equal marriage, and rightly so; however, the notion of equality can be fuzzy. The kind of equality women have been taught to embrace suggests men and women are interchangeable, and they are not. A marriage can be reasonably fair, but skills, interests, experiences, and attitudes will always shape who does what and the scales of responsibility do not always balance perfectly. Many individuals – once again, especially women – expect marriage to make them happy. Prince Charming will sweep them away on a white horse and they’ll live happily ever after. But the truth is, there are days, even in the most perfect of marriages, that one or both partners will be unhappy about something. That’s simply reality. It’s important not to assume that because things aren’t working out the way you want them to at that particular moment that you need a different life. The purpose of marriage is not to make you happy. You and you alone are responsible for that. Fortunately, journaling will help you learn how you really view your relationship and develop a clearer, more thoughtful perspective about it. When your marriage feels like it’s falling apart, journaling is an effective analytical tool with which to explore your true feelings and the options you have to repair, rebuild, or end your relationship. Journaling provides the means to deal with it objectively and better manage the emotional impulses that can derail any positive efforts to effect change. The good news is journaling can also help a couple keep their marriage together. It enables each to understand themselves better, see more clearly the issues and challenges they face, and more effectively deal with issues such as communication, which is often a sticking point. If each spouse is encouraged to journal, they can gain deeper insight into their feelings and share what they’ve learned with each other to help regenerate the relationship. This kind of discovery can help them stay together and grow together. But both must be willing to do so. If you want to learn how to manage stress caused by a bad marriage and other life challenges, please download the free eBook titled The Journaling Guide to Manage The Stress and Strains of Life. Relationships play a tremendous role in your life. 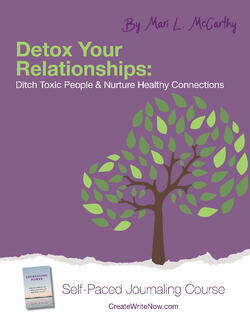 Identify what you value in, what you need from, and what you want to change in your relationships with our self-paced journaling course, Detox Your Relationships: Ditch Toxic People & Nurture Healthy Connections.